Stephen Fox wears the multiple hats of musician, instrument maker and scientist. Born in England, raised in Western Canada and currently based in the Toronto area, he began his university studies in physics, achieving a Master of Science degree with a thesis in theoretical plasma physics from the University of Saskatchewan. Deciding on a career in music, he received a Bachelor of Music (Performance) degree. As a performer he is heard regularly on concert stages in the Toronto area playing clarinet, saxophone and historical clarinets in professional orchestras and chamber ensembles, and has performed concerti with a number of orchestras in Toronto and elsewhere. He has presented recitals and participated in chamber concerts in Norway, Sweden, Finland, the Czech Republic, Australia, the Philippines and the U.S.A. as well as at various locales across Canada, and has been heard on CBC Radio 2, Czech Radio and the Australian Broadcasting Corporation. 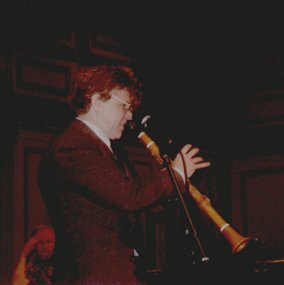 He is a founding member of the Riverdale Ensemble (performing on modern instruments), Ossia (period instruments) and tranSpectra (avant garde music with alternative tuning), and was invited to perform at the International Clarinet Association ClarinetFests in Stockholm, Salt Lake City, Washington, DC and Tokyo. 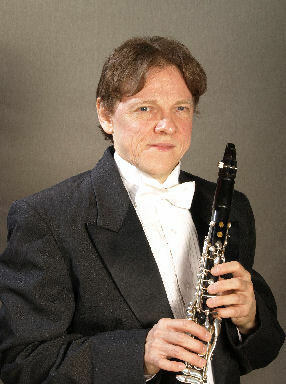 His notable premieres include the first North American performances of the Concerto for saxophone and orchestra by the British composer Josef Holbrooke, the first Canadian performances on basset (extended range) clarinet of the Mozart clarinet concerto and quintet, and several new chamber works commissioned by the Riverdale Ensemble. He has released two CDs with the Riverdale Ensemble (Foliage and Twelve by the Moon-dial), with a third (on historical instruments) in the final production stages, and a fourth (of all Canadian chamber music) to be recorded in the next year. His position as an instrument builder is unique, as one of only two or three manufacturers of custom professional clarinets in the Western Hemisphere, the only one outside Europe with a dual concentration on both modern clarinets and reproduction historical instruments, and the only one anywhere in the world experimenting with truly fundamental changes to the bore and other acoustical design aspects of the clarinet. The rapidly-expanding roster of his customers currently includes artists in the fields of symphonic music, period instrument performance, jazz and klezmer music in Britain, Germany, Switzerland, Italy, the Netherlands, Norway, Finland, South Africa, New Zealand, Japan, the U.S.A. and Canada. In addition, for many years he has been one of the best known woodwind repair technicians in North America, performing overhauls, tuning, custom alterations and catastrophic damage repair for numerous professional musicians. His lectures and demonstrations on musical instrument acoustics, design and history have been heard at schools and universities throughout Canada and in the U.S.A., Europe and Australia, and at several ClarinetFests. 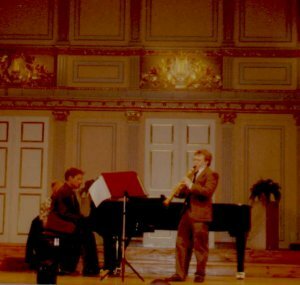 From 1994 to 2004 he taught annually at Musikk Instrument Akademiet in Norway, and in 2004 he was invited to teach at the Third International Masterclass for Clarinet at the University of Ostrava in the Czech Republic. His work has been featured on the CTV National News, and he has been profiled as "Musician in our Midst" in Toronto's WholeNote magazine.